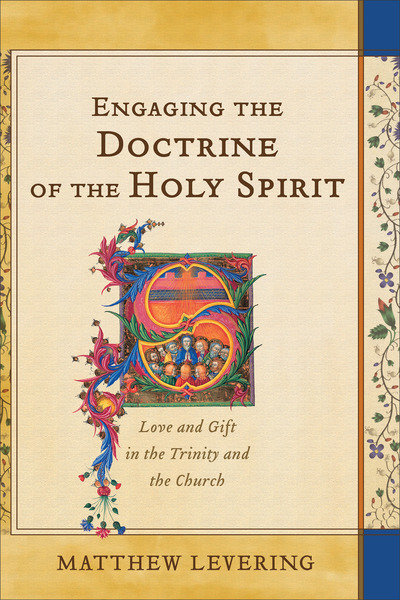 Distinguished theologian Matthew Levering offers a historical examination of the doctrine of the Holy Spirit, defending an Augustinian model against various contemporary theological views. A companion piece to Levering's Engaging the Doctrine of Revelation, this work critically engages contemporary and classical doctrines of the Holy Spirit in dialogue with Orthodox and Reformed interlocutors. Levering makes a strong dogmatic case for conceiving of the Holy Spirit as love between Father and Son, given to the people of God as a gift.